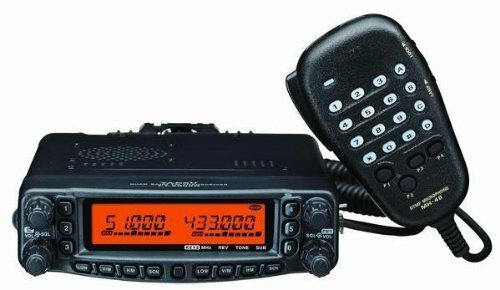 QuadBand Amateur Ham Radio FM Mobile Transceiver. 10 Meter, 6 Meter, 2 Meter & 70cm Transmit. Full Cross Band Repeat, Remoteable Faceplate, & Full Duplex operation. Requires Optional suitable Antenna(s), & Hookup to 12-14Vdc at least 12 Amps. Transmits 50 watts on 10, 6 and 2M, & 35 watts on 440 MHz, With Selectable Lower Output Settings..
Receives (less cellular) 28-29.7, 50-54, 108-180, 320-480 and 700-985 MHz, Transmits 28-29.70Mhz, 50-54Mhx, 144-148Mhz, 430-450Mhz. Backlit Keypad mic, 800 mem Channels, Live Dual Displays, ctcss/dcs (PL & DPL).